Code Dx, Inc., today announced that Chris Horn will be presenting at AppSec Europe in London, England on July 6 at 10:15 AM. His presentation is titled: “A View from Above: How Organizations are Managing Their AppSec Programs.” Mr. Horn helps guide product development at Code Dx. Code Dx, Inc., today announced they have been named to Mirror Review’s list of “The 10 Most Reliable Security Solution Providers to Look For in 2018”. Code Dx and its CEO, Anita D’Amico, Ph.D., were recently featured in the magazine. 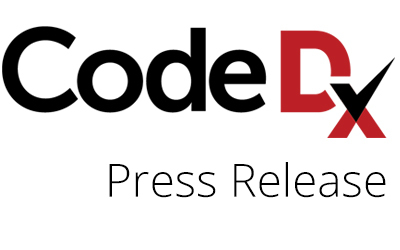 Code Dx, Inc., a provider of an award-winning suite of time-saving and easy-to-use tools that help software developers, testers and security analysts find, prioritize and manage software vulnerabilities, today announced the integration of its Software Vulnerability and Correlation Management solution with PortSwigger’s Burp Suite application security testing (AST) tool. Code Dx, Inc., today announced that it has been selected by Bitnami as one of the first applications to be included in Microsoft’s Azure Government Cloud Marketplace.